Like many UK youngsters in the mid-1960's, I listened to 'the Pirates' usually late at night on a cheap transistor radio. Shows such as John Peel's Perfumed Garden formed the basis of my musical enlightenment and this early exposure to artists such as The Mothers of Invention, The Incredible String Band, and Jefferson Airplane contributed to a lifetime of discovery outside of the mainstream music world of 'pop'. 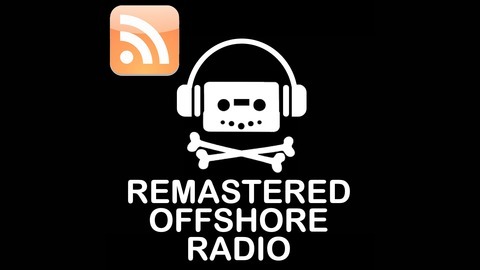 This podcast aims to bring you gems from the days of offshore radio. Where possible the audio quality has been improved and dubbed with high-quality stereo versions of the music tracks. 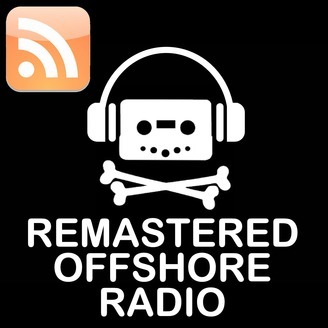 Ongoing episodes will include material from stations such as Radio London, Radio Caroline, Radio 270, Britain Radio, Radio Sutch, Caroline North, Atlanta, CNBC, Radio Scotland, Radio England, Radio 355, Radio Seagull and Radio Geronimo plus many more.UPDATE: Maybe this podcast should be renamed Remastered Free Radio because I now include onshore pirates as well as legal radio. My rationale is that all these broadcasts embody the spirit of free radio either in presentation or content. Drop your comments to me at offshore.radio@mail.com. Excerpt From A Teenage Opera - Keith WestEven The Bad Times Are Good - The TremeloesI Want To Go Back There Again - Truly SmithBig Lil (Sonowaltz) Radio London Theme TuneBecause They’re Young - Duane Eddy She’d Rather Be With Me - The TurtlesItchycoo Park - Small FacesSan Francisco (Be Sure To Wear Some Flowers In Your Hair) - Scott McKenzieA Girl Like You - The Young RascalsLove Theme - Barry WhiteBorn Free - Matt MunroHeroes And Villains - The Beach BoysThe British Grin And Bear - Whistling Jack SmithI’ll Never Fall In Love Again (It Looks Like) - Tom JonesA Day In The Life - The BeatlesIt’s All Over - Cliff RichardSoul Coaxing - Norrie Paramour? Radio Jackie is South West London's original pirate radio station. The first broadcast was in March 1969 from a studio in Sutton and lasted for just 30 minutes. Within a short while, Radio Jackie was on the air every Sunday giving a growing band of listeners their first taste of truly local radio. On 7 March 1972, a cassette recording of Radio Jackie was played in Parliament, during the committee stage of the Sound Broadcasting Bill, as an example of what local radio could be like. As new London wide radio stations were licensed in the early seventies Radio Jackie stayed true to the ideal of local radio based in South West London. Community events and charity fundraising were a key part of the station's output. Sutton Eye Hospital, Queen Mary's Hospital for Children in Carshalton and the Royal Marsden Hospital were all beneficiaries of Jackie's on-air fundraising efforts. For the first time, local businesses were able to advertise on the radio to a relevant audience in a cost-effective way. In 1983 Radio Jackie launched a full 24 hours a day service. During this period Dave Pearce (now BBC Radio 1) and Paul McKenna (TV performer and hypnotist) first cut their teeth in the media. A Radio Jackie shop was opened, the studios were in Worcester Park with the transmitter in North Cheam. Radio Jackie was VAT registered and listed in the phone book. Full-time staff were employed to work from Radio Jackie's office and shop - initially in Morden and later in Central Road, Worcester Park. Kingston and Sutton Councils passed motions supporting Radio Jackie's bid to be licensed to serve South West London. In 1984 a petition, calling for the station to be given a licence, was signed by over 55,000 people and supported by many local councillors and the MP for Mitcham and Morden. Independent surveys at the time showed that Radio Jackie was one of the most popular radio stations in South West London. As the station's campaign for a radio licence grew so the regional and national media took notice. BBC TV, Channel 4 and ITV all covered the campaign for the station to be awarded a licence to serve South West London. Sadly, Radio Jackie was forced to close in February 1985 following a series of much-publicised raids by the radio regulatory authorities. Hundreds of people filled the Radio Jackie studios and offices in Worcester Park for the emotional final programme. The station vowed then to continue campaigning for a local radio licence for South West London. However, the opportunity to return legally didn't arise until 1996 when a new FM licence for South West London on 107.8MHz was advertised. Radio Jackie's hopes of a return to the airwaves of South West London were dashed though when the licence was awarded to another applicant: Thames Radio. So, it looked as though Radio Jackie would become simply a piece of British broadcasting history. However, the subsequent misfortunes of Thames Radio turned out to be an opportunity for Radio Jackie to prove the 1996 licence decision wrong. Thames 107.8 was put up for sale in February 2003 and the original management team behind Radio Jackie re-formed to purchase the loss-making station. Following the acquisition of Thames in March 2003, the station's output was completely revamped to include live local presentation around the clock and local news every hour. In July 2003 the station moved to new studios in Tolworth and on Sunday 19 October 2003 the station re-launched as Radio Jackie - the Sound of South West London. Extract from 'From Radical Radio To Big Business' by Grant Goddard... The closing date for applications for the government's new community radio licences had been extended to 31 October 1985 to allow potential bidders more time to prepare their submissions. Ex-pirates JFM, Horizon and Solar each submitted separate applications for the FM 'community of interest' licence serving South London, in competition with several other community radio groups. As expected, ex-pirate Radio Jackie applied for a neighbourhood licence for Southwest London. Eight months after the fatal raid on Radio Jackie, the case against the thirteen people caught broadcasting from the station's studio was only just being heard by Sutton Magistrates Court. One of ten DTI witnesses told the court he had clambered over the gate in Cheam on 1 February 1985 and found two aerials, one on the roof of the house and the other which spanned the whole garden. The DTI said they had also found and confiscated £5,000 of equipment from the station's studio in Worcester Park. The court imposed total fines of more than £5,000 on the accused, plus £100 each in costs. Afterwards, Radio Jackie's Peter Stremes said: "It could have been worse. They could have imposed suspended prison sentences on us. But I have noticed, in previous cases, the fines were about £50 to £100 for each offence. In our case, they ranged from £150 to £250 for each offence." Radio Jackie programme controller Dave Owen said he would appeal against his £850 fine. He was optimistic about the station's chances of winning one of the new community radio licences: "We have a petition supporting us, signed by over 50,000 voters in Southwest London. It would be a great shame if those 50,000 didn't get what they wanted." Whilst awaiting the government's decision on their licence application, the staff compiled a Radio Jackie record album featuring extracts of broadcasts from 1969 until the final raid in February. "It's a collector's item," said Owen, "and an ideal Christmas present."